Women and Warriors of the Plains. 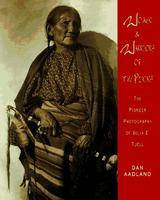 The Pioneer Photography of Julia E. Tuell. by Dan Aadland, Mountain Press Publishing Co., Missoula MT 2000, 182 p.